Multi-touch displays are the natural evolution of the old touch screens as they are capable of recognising multiple touches at the same time. This way of dealing with the hardware (and applications) opens up a host of new opportunities for human-computer interaction, enabling the objects on a screen to be directly manipulated by the user. For this reason these techniques are also known as natural user interfaces. There are different ways to create multitouch screens, depending on the context of use and the size required for the display. The techniques that allow the realization of multi-touch hardware, are based on different solutions such as capacitive, resistive, motion, orientation, pressure and so on. The one we chose to implement our table is a computer vision based technique and is called Laser Light Plane (LLP). This vision based solutions are the most known and used when you need to interact with large screens because the scalability, the low cost and the easy to build feature; in addition to this there are other four major (computer vision based) techniques that allow the creation of a stable multitouch hardware system: Frustrated Total Internal Reflaction (FTIR), Rear Diffused Illumination (Rear DI), LED-Light Plane (LED-LP) and Diffused Surface Illumination (DSI). Each vision based techniques consist of a camera, an infrared light source and a display. The infrared light source, in the LLP solution, is generated by IR-laser and this infrared light is shined just above the surface to create a laser plane of light that is about 1mm thick and is positioned just above the surface. When the finger touches the display, the laser plane hits the tip of the finger and the system registers an IR blob so infrared lasers and LLP method are an easy and usually inexpensive way to create a MT setup. Most setups go with 2-4 lasers, positioned on the corners of the touch surface. The laser wattage power rating (mW) is related to the brightness of the laser, so the more powerful the laser, the greater the brightness of the IR plane. The common light wavelengths used are 780nm and 940nm. Laser modules need to have a line lense generator on them to transform the beam into a light plane; the 89 and 120 degree line lens are most commonly used to reduce the number of lasers necessary to cover the entire touch surface. The advantages of this technique are that no compliant surface is needed, so you can use any transparent material for the surface like glass and not only acrylic; no LED frame and no closed box needed and could be cheaper than other solutions. The disadvantages are that traditional objects and fiducials are not trackable and is not pressure sensitive (is not able to detect the force with which someone presses on the surface but only the contact). For more detailed information and reference, please visit to this NUI Group Wiki page about LLP technology. In order to test multitouch applications at the development stage, CSP equipped itself with a dedicated hardware solution. When it comes to large screens (non-portable devices), there are various commercial platforms available – e.g. Microsoft Surface. However these are closed solutions that do not integrate with other software programmes and do not allow modifications to the configuration of the hardware, as well as representing a considerable expense. For these reasons CSP’s applied research has focused on creating and integrating an “open source” hardware. For multitouch applications a development framework based on Adobe Flash was used, chosen for its versatility and compatibility with the vast majority of operating systems. The applications developed are also based on interaction patterns typical of multitouch environments, such as pinch to zoom, tap to open and drag to move. In its research work CSP has developed a series of applications designed to respond to the needs of a range of different settings and sectors, from library services and public information, to teaching tools for learners with special needs, from the aviation industry to tourism, to entertainment, with multitouch games. Our prototype (built in 2009) is a table with a surface composed by a retro projection film sandwiched between two tempered glasses. On each corner of the surface there is an infrared laser with a line lens generator. A short throw projector, placed under the table, display the images and a modified infrared camera captures the users generated blobs. A mirror assists the projector in redirecting the image on the multitouch surface. The surface has been produced in the form of a horizontal table, but the versatility of LLP technology means it can be used to construct vertical interactive surfaces in larger sizes, while keeping costs low. Indeed 2010 saw the creation of an interactive wall measuring 100” (around 2 metres wide and 1.5 metres high), with costs comparable to those of producing a table, despite being four times larger. Safety when using lasers of any power is important. Infrared lasers are used to achieve the LLP effect, and these lasers carry some inherent risk. Infrared lasers are imperceptible to the human eye and therefore activate no link response, allowing for greater damage to the retina. A Class IIIB laser is hazardous if the eye is exposed directly but a line lens is used to expand a laser’s line into a plane. This line lens reduces the intensity of the laser from IIIB to Class I. Exercise anyway common sense and be mindful of where the laser beams are travelling. If extreme caution is exercised, LLP setups are quite safe. To implement multitouch applications, you can choose between different programming languages. Each technology has to know when and where the fingers are on the screen, so a protocol is needed in order to translate blob information into touch point messages. We used the TUIO (http://www.tuio.org) protocol as a middleware between the multitouch hardware and the user application. TUIO is an open framework that defines a protocol (and API) to standardize an interface that makes it possible to exchange touch events between a detecting device and an application or a user interface. TUIO is built on top of OSC (Open Sound Control) that is a protocol, defined in 1983, used to interconnect PC to multimedia devices. It represents an Internet based alternative to the MIDI interface. As OSC, the TUIO protocol is based on the exchange of UDP messages between the device and the client application. The TUIO protocol encodes control data from a tracker application (e.g. based on computer vision) and sends it to any client application that is capable of decoding the protocol. The “obj” profile is used to recognize objects, the “cur” profile only to obtain cursor information. The following tables describes the basic messages used by the TUIO protocol when using a 2D Interactive Surface. fseq num This message sends a periodic sequence number. This is provided because actually UDP does not guarantee that the messages are received in the same order in which are sent. My name is Clint Correa. I saw Your vid on how to make a multi touch screen table-and let me tell you that was cool. I also admire your post on the web page ( Applying scientific and technological research in order to develop the innovation potential locally as well as for business and Public Administrations. This is CSP’s mission – joining technological skills and creative ability and producing value for its clients and parners ) that response to the world is noble and wise. I want to feel comfortable working smoothly and most importantly easily. I want to be able to touch and control and work from a seated position as well. Sure it might take six projectors and whatnot, but if it helps me work better than il take it. This is new to me so bare with me, thnx.. Thank you very much for you interest and for your compliments. We are glad that you appreciate our work. A couple of years ago we built a 100 inches (200×150 cm) vertical multitouch wall based on the same technology of this table: the only difference is that, to create a useable IR light plane on the bigger surface, we used 8x25mW laser instead of the 4x10mW that we used on the table. The wall is based on a single short throw projector, it has a standard 4:3 aspect ratio and, having a quite large surface, is meant to be used by a user standing in front of it. Not for everyday’s desktop operation of course, but it perfectly matches our specific needs. If we understand correctly, you are looking for a different solution to be used as an immersive desktop environment, and I think that this can only be achieved using multiple (borderless?) monitor or multiple projectors. It is a really interesting idea, but currenlty we don’t have any direct experience on multiple projections. – just an idea that might worth to consider: maybe using pico projectors may lead to a cheaper solution (both in term of hardware price and power comsumption). This could even allow you to build a portable solution. – Using multiple monitor might be the cheapest and easiest solution, but of course the displays’ frame will “break” the image, and somehow ruin the user experience. – In our experience, controlling an environment of this type with touches might be really uncomfortable, because user’s arm would needs to always be “in the air” with no place to rest. Maybe a better solution would be to use gesture (using a Microsoft kinect, or even a cheaper and more precise Leap Motion sensor), but of course in this case the kind of controls that can be achieved are limited. Maybe it might be interesting to try some kind of mixed touch & gesture approach, for example using gesture for operations that does not require a lot of precision (swiping through images, zooming in or out, or moving a window) and using touch only when specific operations are requested (push a button). In this scenario, user’s arms would rest on the table for most of the time. Using gesture would also allow a much immersive gaming experience. Hope that we somehow this can help you to find the right direction, but please feel free to reply for any further information or ideas. Multitouch is incredible and awesome but don’t you think it’s a bit expensive. Is there anyway we can make it a bit cheap. can i replace the projector with something else ? I know, the multitouch table is a bit expensive but only if you consider the price today. When the table has been built(2009), the alternative was to wait for the Microsoft Surface™ and I can assure you that our table was decidedly cheaper. I do not believe that today the biggest cost is the short-throw projector, you could save money, in my opinion, by carefully choosing the case and the lining of the table or using other multitouch technologies such as capacitive display or multitouch frames in order to use a LED or LCD display panel. Thank you for the tutorial it is really interesting. I want to realise the same project (Multi-touch table)with my students. Can I have more details about the characteristic of the two sheets of glass and the projection film ? The two sheets of glass are toughened glass, thick about 0.5mm 0.5cm each. 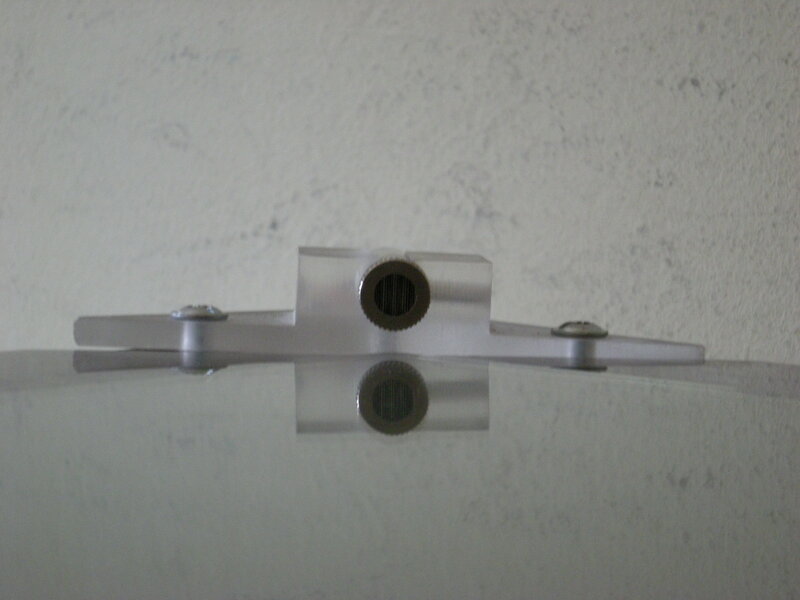 We have chosen this type of glass because its strength and its smooth feedback on touch. The projection film is a normal rear projection film not an adhesive film and it stays in place because the weight of the glass. Just a little correction here: each sheet of glass is 0.5cm thick (5mm), not 0.5mm. The total thickness of two glasses plus the rear-projection film is about 1 cm. Sorry about that and thanks to KC for noticing this. Hola que tal reciban un cordial saludo desde México, he visto su proyecto y me ha gustado mucho, como puedo realizarlo tipo casero o en casa, aquí en la ciudad de México, ya que empezamos con nuevas tecnologias y me gustaría poder hacer una mesa para mostrar a los niños y sea más divertido su aprendizaje. Les dejo mis datos para cualquier duda o comentario al respecto. Sin más por el momento reciban un cordial saludo. thank you very much for your appreciations and your greetings. Unfortunately we don’t speak spanish, so we hope we have correctly understood you. We built the table a few years ago in our office, but for some details we asked for some help to an italian company that had already built one, because we didn’t have the required tools and skill to work with iron and plexiglass. In particular, the laser supports are the most complicated part of this table since they have to allow a fine allignement of the lasers to the glass surface. The solution we adopted is really handy and allows an easy and precise alignment. We choosed this technique because we needed to move (and realign) the table frequently, but you could also use a rougher and cheaper technique, fixing the laser on their final position (glue, quick-apply nylon straps, etc..) and stop worring about lasers. Same thing for the plexiglass cover: we designed it in office (using a 3D CAD) and we submitted the drawings to a plexiglass specialized company, but you may find that a wood cover (from simple plywood to painted MDF) may be enough for your needs and you may be able to build it by yourself. The final point is, according to the materials and refinements you choose, and your skills and equipment, you can built everyting at home or you may need to require some help. Of course also your final cost may vary. We wish you to finish your project as quickly as possible and that it could be really useful to enhance learning through fun. About how much would one of these cost and do you have to be with a business or school or can it be for your house? 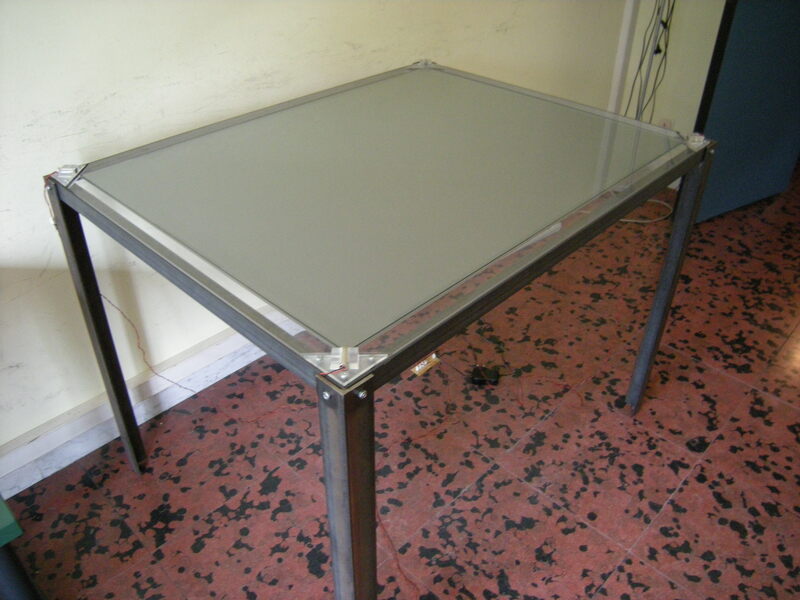 the cost of the table is strictly related to the components and materials used to build it. The projectors, for example, have a highly variable cost according to projection distance, resolution and brightness: the one we choosed costs about 1200€; the external coverage of the entire structure was another significant portion of the total price (we made it in plexiglass and we paid approximately 1500€ for it, but you can also use wood wich is cheaper). In 2009, we spent between 8 and 9 k €, but your final cost of course may vary and could easily be significantly lower. The table, as we designed it, is pretty solid and well finished and could be equally used in public places (museums, exhibitions, etc.) or in private locations. there are a bunch of videos on the internet showing how to build touch devices in many different ways. But none of the videos shows any practical use of this technology. Why should I need someting like this at home? I’m pretty sure I’m working faster the traditional way with mouse and keyboard. touch and multitouch screens open a brand new kind of interaction that is rapidly diffusing, thanks to tablet and smartphones (well, actually we could say that is the opposite way, and tablet are rapidly diffusing thanks to multitouch technology but that’s another thing). Of course, a tablet requires a touch screen because of the lack of a phisical keyboard, and of course this problem and the related needs are not an issue on classic computers. Actually I can’t imagine myself using a touch screen to perform every kind of operations: writing a document, developing a software, designing with a CAD (just to mention some), requires a level of precision, speed and aptic feedback that current touch tecnologies can’t provide (yet). The point is that touch screens (and multitouch in particular) allow a different kind of interaction and a different kind of user interfaces. Just the simplest gestures such as pinch to zoom, two fingers rotate, and drag, allow the manipulation of virtual objects in a much more intuitive way than by using user interface artifacts such as buttons and scrollers. The user can manipulate a virtual rapresentation of an objest (let’s say a picture) in a way that is very close to the way he would interact with a physical one, thus with a much more natural user experience (after all, that’s why they call these interfaces NUI – Natural User Interfaces). Beside mobile device, wich already have their place and their use, the use of (multi)touch on larger screen is not “the” solution, but is “a” solution for some type of applications and/or for some type of users: information kiosks and interactive installations in museums, are the most diffused application contexts, because they allow any kind of user to use the device/information without any special knowledge or training, but of course this is just the tip of the iceberg. For example we recently developed a platform to be used as part of a medical therapy for children affected by autistic disorders: in this case, we place the multitouch table in the ospital where patients can perform their assigned exercises under doctors’ supervision, or perform the same exercises at home with their own tablets. This allow the patients to be more independents and the doctors to remotely record and monitor patient’s progresses and improve the therapy if needed. If you want some more information about Touch4Autism project, please have a look at this article (The video is still in italian, though! We still have to translate or subtitle it. Sorry). As I said, these are of course just a few example: the range of application that can exploit the capabilities of this tecnology is really limited only by human fantasy, and I think that future developments will likely expand the possibilities. Maybe you should answer my question instead of deleting it. What kind of scientists are you??? I suppose you are the same person of the last post (Joe), even if you used different name and email. If it was you, your post was not deleted: comments on this site are moderated, and your was under approval. If it wasn’t you, then I think that something wrong may have happened during the submission process, because we can’t see any other pending comment. In this case, please submit your question again and we will be happy to answer it. I Agree that this technology is for most but not for all: there are many reason for that, and the current price tag is the most important one so far. As I said in the previous post, even though for many cases you may have a better user experience using “traditional” input technologies, there are other scenarios where a multitouch screen allow a level of simplification and/or attractiveness on user interfaces that is simply not possibile to achieve with a mouse and a keyboard (and of course there are even cases where you can not, or you’d better not, use mouse and keyboard). Think about smartphones and tablets: their large diffusion is mostly due to the touch screens and their relatively low price, but I still think that no software will ever replace the feeling of a physical keyboard. Despite that, they allow to do things that are simply not possible with a keyboard, and that’s why they are diffusing so rapidly. In our applications however, we mainly focus on a very different scenario, where many users can interact with the system simultaneously (multitouch and multituser), and this require of course a large interactive surface. So far we own (built or purchased) various devices, from 42 to 100 inches, vertical display, horizontal tables, and touch walls, so the kind of use and of interaction is vastly different from what you can do (or want to do) on your home laptop, or on your smartphone. That’s the reason why I think that a comparison between the two approaches (touch screen vs. keyboard/mouse) is hard to do, and somehow I even consider it unfair: according to the specific needs, the answer can be so obvious (in either directions) that the question itself may have little sense. Ho un’idea che sto presentando ad un CEO di una grossa agenzia pubblicitaria che ha dei potenziali applicativi enormi in tale campo ed in cui la tecnologia multitouch da Voi presentata in questo video sarebbe l’ideale parte integrante. Per presentare tale idea la migliore cosa sarebbe una dimostrazione hands-on. Avrei necessità di qualcuno che sviluppi un software che possa rendere il progetto applicativo e di qualcuno che possa fornire un prototipo multitouch per presentarlo ai potenziali business angels ed investitori. GRazie mille. Keep on with the great work. I sent you a private message containing information on how to contact us. I am impressed by the realisation of your multi-touch table! Congratulations!I am a teacher in a primary school in Anderlecht near Brussels (kids of 7 years old). I would like to build the table as shown in the movie. It would be very usefull for the children in the class which have a great need of manipulating “things” in the lessons of mathemathics. I hope I can build it on my own because I am convicted it would be a great help for my children. You think this is possible? What excatly is a “rear projection film”. If you have more technical specifications I would be pleased to receive them. Thanks you very much and succes with your experiments!!! Hi, thank you so much for your interest! One of the use cases considered at the start of this project was exactly the (children) learning through the interaction with the table and so yes,I think it’s quite possible to build one and to use it for testing the interaction with the kids. There’s not so much to add as technical specifications but if you have some problems with a specific task or a part of it, please feel free to ask here! The rear projection film is a sort of paper used to project on a video or images, the “rear” is because the images are projected on the rear of the screen and not on the front (as usual). Here you can find a comparison of 6 rear-projection films. Hope to read the updates of your project soon! I like the idea, and I am in to build something like you just did. I want the list and details regarding the materiel. exemple the ir laser I found it on ebay for 8 dollars i want to make sure this one will work so i can buy all i need to build it. please stay in touch with me so I can know what i’m doing. I want to build it and Im about to buy the glass and the iron to start the project. I don’t really know if the ir laser you found on ebay works or not for this project! We bought our laser on aixiz and on peauproduction. In our project we use the 780nm – 10mW. Please make sure to handle them correctly because they are easy to break and they could be very dangerous for eyes! please excuse us for the huge delay. We have had some issue with the comment notification system of the web platform and we missed some comments. Thank you for your suggestion about a contact Us page: we are working on it. In the meantime, I sent you a private message containing information on how to contact us. Hi guys, I found this site (http://peauproductions.com/store/), you can buy IR multi-touch frames that mount over your screen. No cameras and no projectors needed, only IR LEDs and IR sensors. Do you think that maybe it could be a Diy thing? I am very interested in building this excellent table. I am a bit uneducated in terms of software, and have a few questions. If I have a basic Windows computer, what software do I need to download in order to make this work? I visited the TUIO website and looked under the software tab. If you could give me a list of the downloads that I need I would really appreciate it. Hi Alex, assuming the webcam drivers are installed, the first software you need is CCV that helps you to translate your touch in TUIO messages.After CCV you can download and install some TUIO compatible software and try it! Hi Archie, thank you so much for your interest! We don’t sell this hardware because it’s just a prototype needed for some of ours research project. If you look on the web you’ll find a lot of sites or producers that will be happy to sell you a multitouch table! Hi, i’ve just seen your video, what is the material that the image was projected onto? Hi Cameron, the material you’re looking for is a rear projection film of the types that are normally used with projectors. We used a rear one because the projector is behind the screen, so the image is displayed on the rear and you can see it on the front. Thank you for the brief explanation.I understood all the aspects but the thing about sandwich glass it is not clear to me. Can u please tell me about it in detail. there’s not really much to say about the sandwich surface. The surface needs a retro-projection film that allows images to be displayed and a contact surface that allows you to touch and interact with applications. The way we did this was to take 2 transparent glasses (so that the camera is still able to see the infrared blobs) and place between them a projection film. Can i buy to you a kit with all components included a case? or Only the case, where i buy? sorry but we don’t sell any kit. You can try to look here to find some of the parts needed to build the multitouch table. we use a tempered glass to avoid breakage. do you need to use lasers or is there an easier alternative? you can use other methods to implement a multitouch surface. In my opinion the laser solution is one of the easiest way to implement it because you haven’t to create a compliant surface. Maybe something simpler could be rear-di or led light plane. I would suggest you to take a look at this book of the nuigroup. Hi, and thanks for this nice tutorial.. I have two questions. First, can I make one with smaller cabinet? What I mean is if I can put projector closer to the screen. Second, can I make a touch keyboard this way? Just plexiglass without projector. Draw an interface on the plexiglass, use IR light above the screen and a camera with IR filter so I can detect the keystrokes. Is it possible??? thank you very much for your appreciation! First: of course you can make a smaller cabinet but you have to choose a projector that meets the distance specification you want to achieve, indeed the more the projector is close to the screen, the more the throw should be short (if you want to keep the same screen size). Second: yes again! It’s really possible to build a keyboard in that way however, you should scale x,y data you receive, from the whole screen to the keyboard dimension and you have to create also an application that replies to the touch events with the correspondent keyboard letter. thanks for this nice tutorial..
i impressed more with your project,we want to implement this for teaching purpose@ vsm college of engineering “INDIA”,i have some questions: i want to know the spare parts specifications and detailed description of installing(any manul to follow) ,and where can i buy in india ,or related information. the complete parts specifications are those listed in the blog post. Sorry but I don’t really know where in India you can find the components, we bought them on on-line shops. Hi! This is an awesome project! Good Job! One question… What material is the screen? The screen is made by tempered glass but you can also use other types of surfaces such as acrylic. hi! this is awesome . i like it so much . even i want to build it own . i do have a question in it ? how much thick surface class should be ? we used two 5mm thick tempered glasses, with a rear projection film between the two. So far they don’t even have a scratch and they are rock-solid. Hi, mostly just wanted to say great job. Im am very interested in replicating a similar table. I was hoping you could explain the modification of the PS3 eye. Is it just a mounting, mod no electrical or optic? I found an early post surprising. Each sheet of glass is 0.5mm thick? It seems lke that would be paper thin. Why so then & what thickness do you believe would start having issues with the camera sensitivity? This might be more dependent of material, but feedback would be appreciated. If possible, posting a BOM with vendors would be great & helpful. There is no need to change the case. We replaced it just for convenience, and to gain a few millimeter of distance from the glass so that we could cover a larger area with a longer (and less distorted) lens. If you find a good way to firmly attach the camera to the bottom of the table case with the original case, it’s even easier to aim it toward the glass. Anyway, you can find a good kit with modified camera at peauproductions’ store (http://peauproductions.com/store/index.php?main_page=product_info&cPath=58_62_76&products_id=566). It’s just 80$ and it will definitely save you time and troubles ;-). As regard the thickness of the glass, you just found a mispelling (I corrected it). The actual thickness of the two sheets of glass is 0.5cm each, not 0.5mm. Sorry about that, but thanks for letting us know. We used 2x5mm tempered glass just for solidity and durability. We could have used plexi too here, but we were afraid of scratches, lack of rigidity (plexiglass is more “elastic” than glass), and lower transparency. Of course plexiglass costs less and weight less than glass, so if you find that what i mentioned before does not represent a problem for you, you could just go with plexi and save some money! The problem is that to obtain a rigid surface, you have to use thicker plexi. The thickness of the transparent surface will not influence camera sensitivity (unless you use a veery thick surface of course). The real issue you may encounter using thick surface is due to diffraction of light through the mirror and parallax errors: the image will be projected onto the projection film, which is (in our case) 0.5mm below user’s finger. You can see a slight mismatch between user’s finger position and the actual image beneath it, depending on user’s eye position, that changes if the user move across the table and if he/she touches a point on the surface just below him (vertical view), or at the opposite corner of the table (diagonal view). With 5mmm the problem is minimal, but what we noticed it that using a thicker surface, such as the 15mm one that we used for our 100″ touch wall, this is much more noticeable (and almost annoying). I’m writing this comment to answer a few question posted on our youtube video page. Since youtube only allow 500 characters, I’m going to answer them here ;-). Q3. Do I really need lasers? if so what are they there for? 4. Are there any easier tutorials on this? lol srry again for soo many questions. A1. You really have to use a modded webcam because you need to see only infrared light, filtering out visible light. I just posted a detailed description about the required modding or where to find one. It’s the comment posted on July 23, 2013. Q2. can it be any kind of glass? And do I have to have a rear projection film between them? A2. Any kind of glass is good but, expecially for large surfaces, I strongly suggest tempered glass, just to avoid to break it. Yes, you need a rear projection film between them in order to see the projected image. You can use a specific one, or be creative and experiment with some translucent surfaces (some folks reported successful stories using cheap acrylic shower curtains). Q3. Do I really need lasers? if so what are they there for? A3. 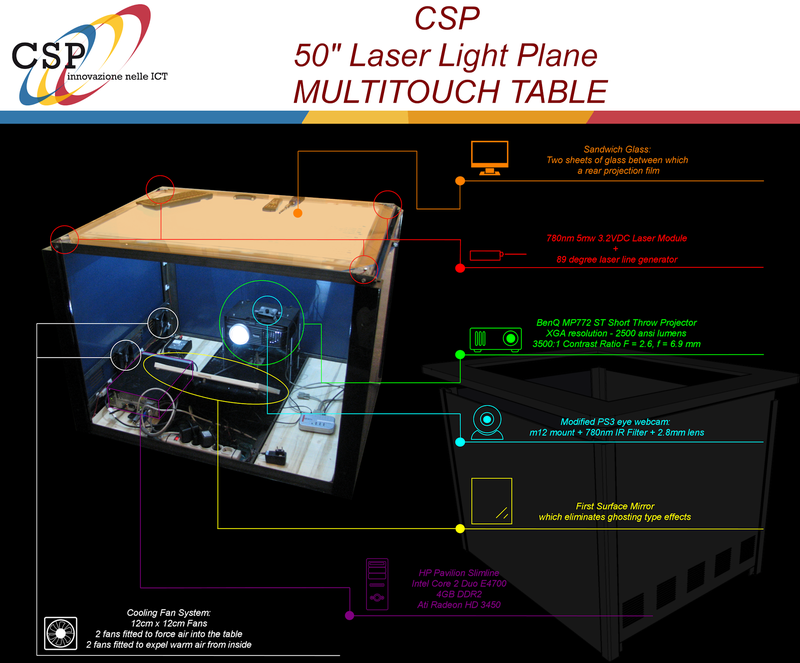 Short answer… if you want to realize an LLP multitouch table like we did… yes you will need lasers. But there are different techniques used to realize multitouch surfaces. We used LLP, wich stands for Laser Light Plane. We have four infrared lasers: each of them has a dedicated diffraction lens mounted in front of it, that transform the line coming out from each laser into a plane. Using four lasers, placed at each corner of the table, we can finely calibrate them to obtain a seamless plane of infrared light (hence the name LLP) just above the surface of the glass (about 1mm above the surface). 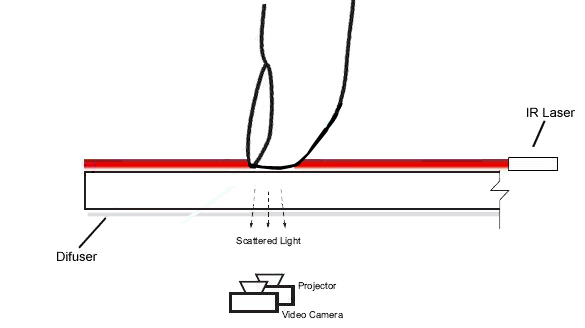 When you place your finger on the surface, your finger will be illuminated by the light plane and the webcam beneath the glass will see only the IR-illuminated part of the finger (through the projection film). The software will process the image, detect the x,y position of the finger on the screen, and trigger a touch event using the TUIO protocol. You may want to use a different technique like DI o FTIR, but you wil still need some infrared light source (laser, lamp, led, etc..) and you may encounter different problems. In the case of LLP, the bigger problem you will encounter will be laser calibration (you really have to be creative here, if you can’t realize a dedicated micro-calibrated mount, but sometime a teflon zip tie and some hot glue will do the job). You can find an awful lot of information at the NUIGroup forum, including basic information on different multitouch implementations, as well as some tutorials.. I suggest to get some background information before to spend a lot of money on hardware. If you want to start experiment with something really cheap, you my want to google “MTMini”, a very easy cardboard and paper multitouch mouse. i saw your video , it was just Awesome. than we need to use project or not ? I really want to make a screen for My collage Project on that i will use multi touch functionality. Hello I’m from japan. i’m very interesting in this project. do you guys actually sell those tables ? I would like to know the price for a 32″ version please. Can you email me if it’s possible? I’m sorry but we don’t sell these table. Actually we have built only one for our company. But there are a lot of company that will sell you one. Excuse me ! I want to make this system , but don’t understand laser technologies , I bought lasers but where will the lasers connection ? for example will the lasers connection pc case or power suppley or another connection , I don’t know . please where will the lasers connection ? such also another question I examined picture I saw 4 IR laser , pc case … etc but small gry case and small black case , don’t understand . What are these ? I wait agog your answer . The lasers will have to be powered on using just a stabilised DC power adapter. The oputput voltage depends on your specific lasers, but usually they are designed for 3.2V DC. They don’t have to be connected to the PC in any way, but of course if you want, you can grab one of the 3.3V outputs from the PC’s power supply unit. I’m not sure which are the gray case and the small black case, but if you are feferring to the small grey box on the right part of the table, is just a VGA splitter that we used to project what we see on the table, to an external projector. The small black boxes on the top left of the base in the interior is a DC power supply used to power the ventilation fans. Both these boxes are not required for the system. If there are not the boxes you are referring to, please let me know. 1-can i build bigger like (200cm x 100cm)? 2-if i do what i need more? yes, you can build a larger table, but you might encounter some problems in finding a short throw projector that will cover the larger surface. To obtain a larger screen, you might have to increase the height of the table, but of course you can not make a table too high ;-). Or you may want to create a vertical touch surface. We used this tecnique to build a 200cm x 150cm touch wall at approxilately the same cost. As regards the lasers, they are not connected to the PC, you just have to power them on (a classic 12v 1A DC power adapter will do the job) and calibrate them to obtain a light plane parallel to the glass surface. All the magic here is done by the software. I love this idea, and I would love to make one as a personally project. There is one thing that is not clear to me. Once i install the TUIO protocol will this work for any application? Can i just boot up my computer and start using the touch screen in place of the mouse like i normally would? Im sorry if this is a stupid question I’m just not suer. One thing i would like to use it for is RTS games but i don’t know if that will work. the TUIO protocol is not natively compatible with the Windows Touch system, so the application needs to be written specifically for TUIO. But the good news is that there are softwares that transform windows touch event to TUIO, or vice versa. They are called, TUIO input Bridges, and TUIO output Bridges, and with these software you can control your PC using a TUIO-based multitouch display. You can find these software on the TUIO implementations page (http://www.tuio.org/?software). We tested some of these software a couple of year ago and there were still some bugs, so they sometimes crashed, but for personal use it won’t be such a problem (and of course, in these years, they may have fixed all the issues). Looking at the video it seems the camera maybe slow in responding to movement. What can be done to improve this? The specs state the camera should be “Up to 60 frames per second” what if i doubled that? Going by you specs how does it perform in day light? How well does it perform in general, would you change anything? You are perfectly right. The webcam was at 60 fps, and we experienced a slight delay. And of course when we recorded that video, the PC itself was not a great performer too (intel core 2 duo @2.2GHz), and one of the cores was almost fully used by CCV (about 60-70%). You can go up to 240 fps if your webcam support it, and if it is compatible with CCV. Just remember that the webcam has to be modified, by replacing the IR block filter with a dedicated IR pass-band filter (at the same frequency of your IR lasers). We used the PSeye because it was really easy to modify it, and you can even purchase it already modified on the web (i.e. peauproduction), so be careful when you choose one, because you have to dismantle it, and of course you will lose your warranty. Using the table in day light may be a problem if you have direct sunlight entering the display, because sunlight contains a lot of IR, and it will interfere with the system, creating some random ghost touches. Indoor during daylight it works perfectly (just don’t put it too close to a window where the sun is casting some rays, and don’t place a powerful lamp stright above the table). In general we are very satisfied with the table. We used it at many public exhibitions (fairs and other events) and it has been used by many people (both adults and children) without big issues (just a couple of broken lasers during the various assembling/disassembling). If we had to change anything, the first thing is the projector. The one we are using has just a 1024×786 pixels resolution, wich is really low considering the modern fullHD displays. At the time we built the table, short throw FullHD projectors were very expensive, and we used a lower resolution one. The problem is that be built everything for an aspect-ratio of 4:3, whereas newer fullHD projectors are 16:9, so we are stuck. Meanwhile, the tecnology has evolved and now we are also using some multitouch overlays attached to a fullHD TV, but they still cost a lot (2000€ and up for a 40 inch frame – search for pqlabs). Thanks for the information it has been very helpful. Hi Roberto, this is really awesome! I’m interested in “lower cost” touch screens alternatives, and found that infra red technology may be the best solution. As I understand, your software also depends on image processing to calculate points coordinates. 1. Can this software work with the already built it camera in any laptop? 2. I want to the click to be triggered using an “infrared” pen! and so the camera will see only dots of lights instead of black dots! (leaving lasers) So image transformation should be flipped. Is this possible by the same software? Thanks also for answering all of the questions asked before, that’s really appreciated. As of today, there are other technologies that can be used that are not based on rear/front projection and image processing: mainly capacitive foils/films and multocouch IR frames, both to be attached to an LCD/LED display. Capacitive foils have slightly lower performances and are more expensive, but they are evolving quickly. The point id that in both cases, you have to purchase an off the shelf producs, and prices are still pretty high (around 2000$ for a 42″ 32 simultaneous touches frame). b) the camera needs to be placed as close as possible to the middle of the screen, just above the projector, and carefully oriented to view the whole screen. If you use a laptop, you may not be able to find a right position+orientation. My suggestion, you you want to try this, is to first place the laptop under the screen, pointing up and see if you are able to view the whole screen. Otherwhise you are out of luck and you don’t even need to try disassembling the laptop to see IF you would be able to hack the built-in camera. 2. Actually, the webcam under the screen detect light spots, not dark spots. When a finger intercept the laser light plane, it is “illuminated” with the IR light from lasers, and these light spots are detected by the camera. As you see in the raw image (on the left), the fingers are in full light, not in the dark. So, image processing would be the same even using an IR pen. You just need to try if the laser pen is powerful enough to pass through the rear projection film and to be detected by the camera, and “wide” enough to be recognized by the software as a finger. We didn’t try this so I’m afraid I can’t be of much help on this, but hey… that’s the funny part ;-). it’s a white board that use external camera and a pointer (IR pen). Imagine the same performance without using their camera :). And for the filter issue. I will put an external filter instead of dissembling my laptop, does it make sense? I’ve checked their camera, they put the filter apart from the lens! by making this, it will be possible to make a portable interactive white board using laptop, projector & IR pen only! That’s a very interesting video. Thank you for sharing. In this case I suppose that if you can just add the IR pass filter, you may be able to view IR signal (if the built-in IR-cut filter is not too strong, otherwise, you will end up with a really dim image from the camera). But of course you won’t have any field-of view related issue. The only problem that you have to face, is where to place the laptop and where is the user placed. I mean, if the user stand in front of the whiteboard and the laptop is behind him, the user will cover the whiteboard itself. But of course if the user will control the board from a remote position… it won’t be a problem at all. A few years ago we did a couple of test using just a WiiMote (the remote controller from Nintendo Wii, which have a really low price varying from 15 to 40 euros), and we managed to build a really cheap whiteboard. Just try a simple google search using “wiimote multitouch” or “wiimote whiteboard”. There are a lot of information on how to build one (included an article on instructable.com), all based on the work from Johnny Lee. Check it out.. it might be what you are looking for. As far as i know though, the wiimote is only capable to track 4 point, whereas in the video that you shared (or in some related video), you can see a lot of people interacting simultaneously. after watching the video and checking your awesome table, im so interesting to have one of these tables but if you can help me in the steps that i must follow to create one to use in my office. the dimensions i need is 200 cm * 80 cm, what is the requirements like computer, lasers, Glass sheets, Projection film (can i use 3M film), what kind of projectors?, the eye web cam?, and all the equipments needed in creating this table..
Hi sir….Thanks for this grt tutorial !! and even track there path individually. I want to know the basic logic behind this code. first I would like to congratulate you for the great work you are doing. and seen your video on the multi touch table and I like so much. I wonder if you can send me mail tutorial on how to build multi touch table stepper and material need. Thanks for your time and follow whether that you are doing great. Hello everyone my name is Gregory. first congratulate you on the work you are doing to follow if. I wonder if someone can send me the blueprints and materials needed to build it step by step. I leave my email for those who can pass the information gregorio-88@hotmail.com. Hi, it is very impressive job and a great inspiration. I think I would try to build it. Hello i wish to build a 60 or a 90″ touch screen monitor set up to my pc that i just build could you guys help me to develope these huge pc for my leaving room? I cannot understand which is the source of the provided electricity? Is it a kind of battery that should be changed frequently? Hi, no battery was used. 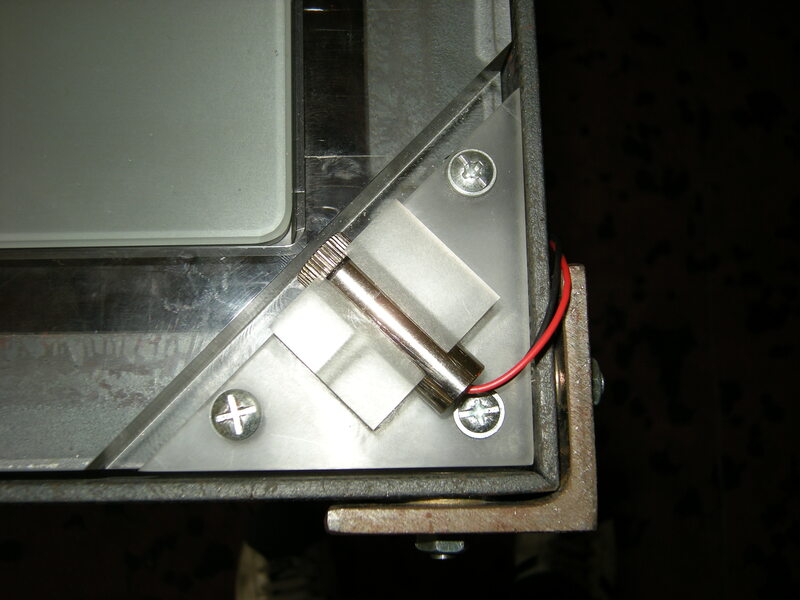 To power the lasers, we have an external 3.2v stabilized power supply unit (you sould see it unplugged in image in the right part of the base). PC and projector have their own power units and for cooling fans we used another external 12v DC power supply. Hey! Where can I get these lasers? Does any website sell them?